Learn instrument calibration online by experienced laboratory engineer. Online training courses for mechanical, eletctrical and thermal instrument calibration. Training will be delivered online by calibration experts. 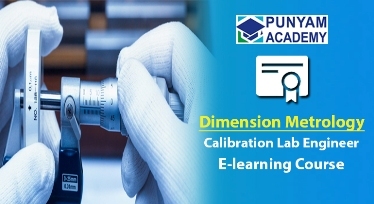 To ensure efficient processes, quality products and customer satisfaction, Punyam Academy has designed a series of e-learning course that cultivate good measurement practice for dimensional instrument calibration. This e-learning traning course designed to provide the knowledge and clear understanding of the basic requirements of conducting in-house calibration and maintenance of Mechanical Instruments. 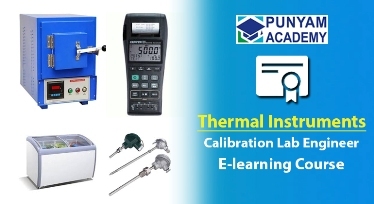 This e-learning traning course designed to provide the knowledge and clear understanding of the basic requirements of conducting in-house calibration and maintenance of Themal Instruments. 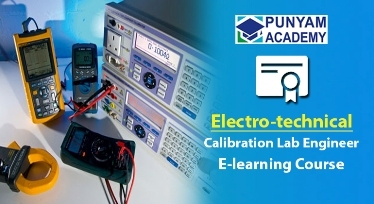 This e-learning traning course designed to provide the knowledge and clear understanding of the basic requirements of conducting in-house calibration and maintenance of Electro-Technical Instruments.